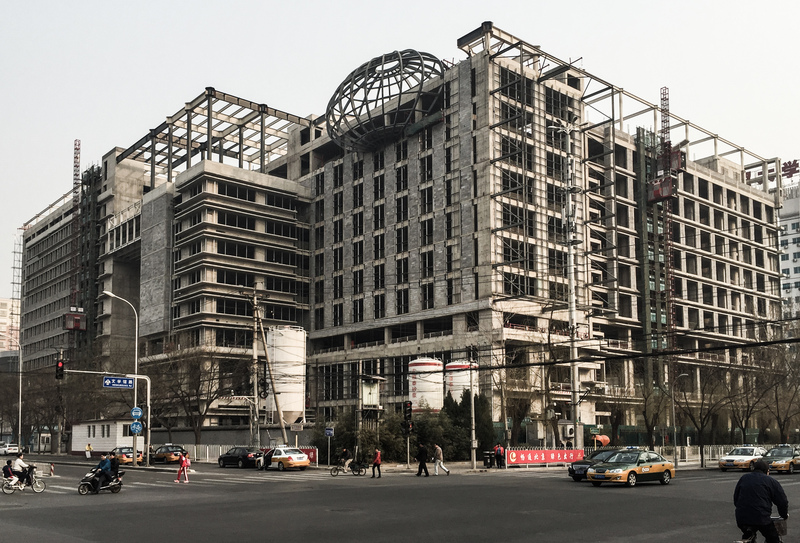 This building is being constructed on the UIBE campus. Another thing to note is the use of cinderblocks in the building. I’ve seen this a lot in Beijing. I think this is because the relative price of using them is far cheaper than in the US. Also, I’d imagine that it takes far less skill to use these than it does to pour concrete. The steel beams are forming a globe that is part of the UIBE logo. The globe was assembled on the ground, and then lifted into place. it must have been interesting to watch that globe being assembled. my goodness…cinderblocks on a building that size? doesn’t seem too stable. by the way, wonderful way to describe and think of “contrasts”!